English actress who played Narcissa Malfoy in the Harry Potter films. She also appeared in the 2011 film Hugo and the 2012 James Bond film Skyfall. 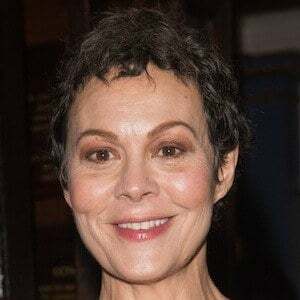 In 2013, she began playing the character Polly Gray on the TV series Peaky Blinders and in 2019 she starred alongside Richard Gere in BBC's MotherFatherSon. She lived in Italy for a year after graduating from boarding school. She portrayed Cherie Blair, the wife of former English prime minister Tony Blair, in both the 2006 film The Queen and the 2010 film The Special Relationship. She has two children, Gulliver Lewis and Manon McCrory-Lewis, with Damian Lewis whom she married in 2007. She played the on-screen mother of Tom Felton in the Harry Potter films.